How to Download CNN Videos for Offline Viewing on Mac and Windows? Download newest events from CNN, AOL, BBC, ABC, NBC, CBS, Fox News, Global News with ease. CNN (Cable News Network) delivers news coverage 24 hours a day. It is a great place to keep up with the latest events across the world. Since news is happening daily and the latest events updated constantly, the videos that you like may cannot be found again. In order to preserve the CNN videos, you might need News downloader tool to download and save News media from CNN.com. 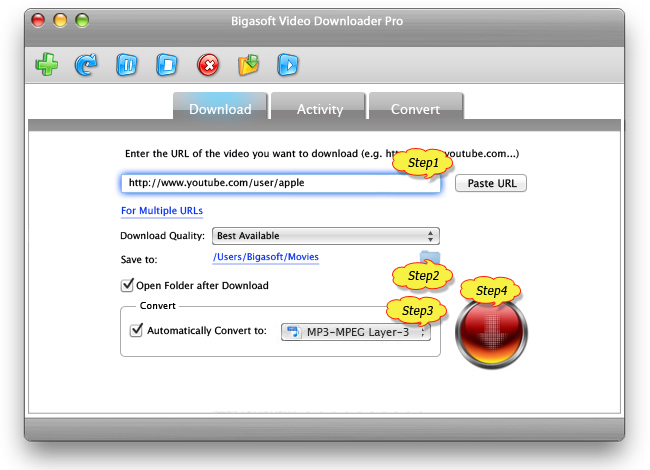 Bigasoft Video Downloader Pro is a practical application you need for downloading CNN videos. Besides, the supported site is not restricted to CNN. You can also batch download videos from CNN, AOL, BBC, ABC, NBC, CBS, Fox News, Global News and YouTube, Vimeo, VEVO, etc. With this CNN Video Downloader, it is easy to download and save the videos to any popular formats, like MP4, AVI, MOV, MKV, WMV, 3GP, etc. And it is fully compatible with the latest Mac or Windows OS and works well with Internet browsers, including Chrome, Firefox, etc. Want to remove some unwanted contents of the downloaded video? On Convert panel, you will be able to cut the downloaded videos. In the following, we will show how to download CNN video in one click. Firstly, download and install the ideal CNN Video Downloader - Bigasoft Video Downloader Pro which is totally safe and clean. I need to download some videos that I have found on CNN for my class. Is there a way I could do that? What is the best way to rip videos from "streaming only" sites like CNN.com? We'd like to download some footage and make a documentary film. I tried some online downloaders to rip YouTube videos, but couldn't download videos from CNN. Do I need download app? CNN is one of my favorite video websites, as it contains the latest news and information that are close connected to our life. Now, I want to save several CNN videos on my computer. Is it possible? Browse cnn.com and choose the CNN video you want to download. Copy the URL from the address box of your browser, then paste it to the text box on the left side of Paste URL button. Actually, as soon as you mouse over the download panel, the URL will be pasted automatically. In addition, if you want to download courses in batch, please click "For Multiple URLs" under the URL box and copy all the URLs into it. Click "Save Folder" button to choose the destination folder for the downloaded CNN News video. After all settings are done, click "Download" button to start the CNN video downloading. Right-click the item in Activity panel and choose "Locate Downloaded File" to get the downloaded CNN video. There are many kinds of videos ranging from stories, weather, business, entertainment, politics, and more. 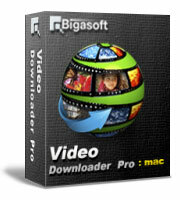 Download and enjoy CNN videos anywhere with Bigasoft Video Downloader Pro now.